Marshall Ulrich has done some of the most amazing feats of endurance in the world. Some of them, beyond comprehension. And that’s his mission. To prove that anything is possible by anyone. 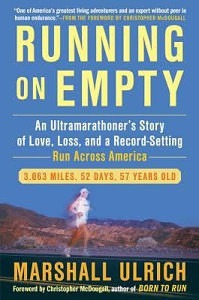 Trekking death valley, Everest, and even running across America are a few of his exploits. We go deeper though. What is a good why when it comes to adventure and running? What was his biggest achievement physically? We also delve into a bunch of non endurance topics. His advice on politics, money, relationships, drugs, and pretty much anything made the list. Enjoy this show from a wise and travelled athlete. You won’t regret it. Want to support Athlete On Fire? You won’t regret that either. Support HERE. Check out his book too!